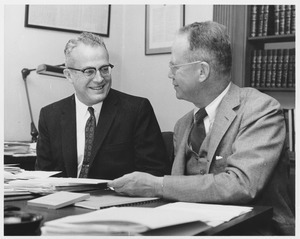 Massachusetts - UMass President John W. Lederle (left) and Dr. Lamar Soutter, Dean of the University of Massachusetts Medical School, chat while sitting in an office. 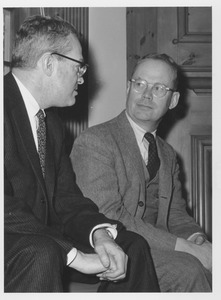 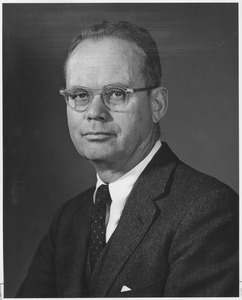 The Medical School was established during President Lederle's term in office and Dr. Soutter, as its first Dean, selected the faculty to help shape the new School. 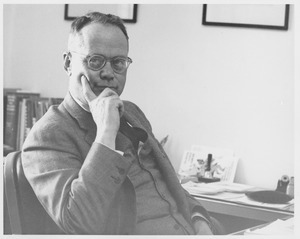 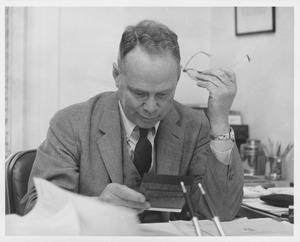 Massachusetts - UMass President John W. Lederle (left) and Dr. Lamar Soutter, Dean of the University of Massachusetts Medical School, discuss a paper while at a desk strewn with other papers. 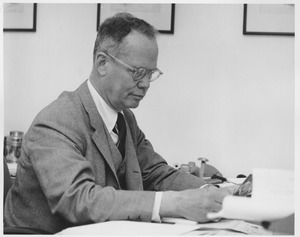 The Medical School was established during President Lederle's term in office and Dr. Soutter, as its first Dean, selected the faculty to help shape the new School. 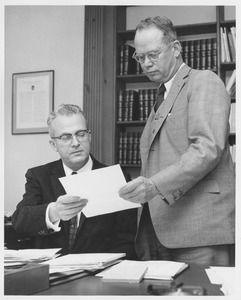 Massachusetts - UMass President John W. Lederle (left) and Dr. Lamar Soutter, Dean of the University of Massachusetts Medical School, chat while sitting at a paper-strewn office desk. 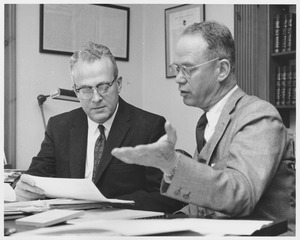 The Medical School was established during President Lederle's term in office and Dr. Soutter, as its first Dean, selected the faculty to help shape the new School.